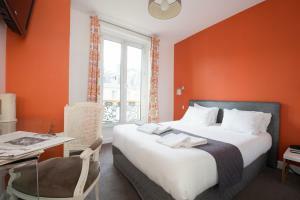 Located central Paris, next to the historic Marais district, this typical Haussmann style hotel offers accommodation with flat-screen satellite TV. 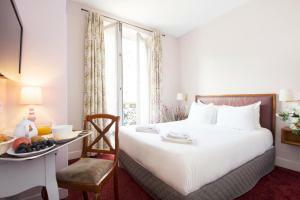 It is ideally located to discover Paris by foot. 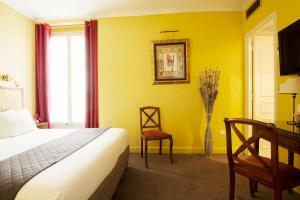 All of the rooms at the France Louvre are elegantly furnished in Louis XV style. They have a minibar and tea and coffee facilities. 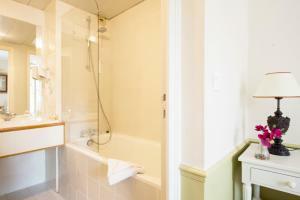 Each private bathroom is equipped with a bathtub or a shower, and a hairdryer. A full buffet breakfast is provided daily in the vaulted cellars. It can also be served in the comfort of the rooms. Guests can also relax in the common lounge room. Daily newspapers are provided. 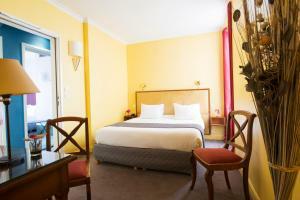 France Louvre hotel also offers a 24-hour reception, free Wi-Fi access and shuttle service to the airport. 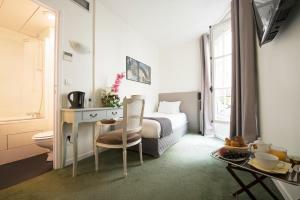 It is a 5-minute walk from Hotel de Ville Metro Station, providing direct access to the Champs Elysées, La Defense business district and the Louvre Museum. Please note that when booking 5 rooms or more, special conditions apply. Provided with free Wi-Fi and an LCD TV, this room has a minibar and tea and coffee making facilities. 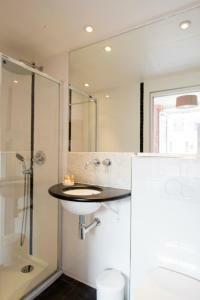 The private bathroom is fitted with a bathtub or a shower, and a hairdryer. 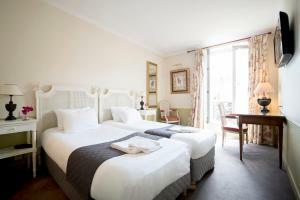 Rate: € 89.00 ... € 193.00; select dates below to get current rates. 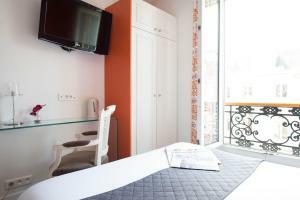 Rate: € 134.83 ... € 193.00; select dates below to get current rates. 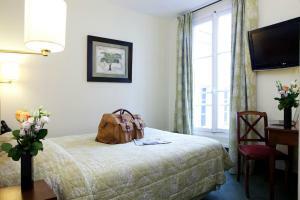 Provided with free Wi-Fi and an LCD TV, this room is larger and has a minibar and tea and coffee making facilities. The private bathroom is fitted with a bathtub or a shower, and a hairdryer. 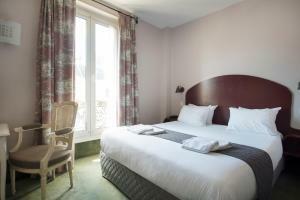 Rate: € 154.14 ... € 195.86; select dates below to get current rates.